Knee orthosis that comprises two foam corsets, two Velcro straps and polycentric articulation. 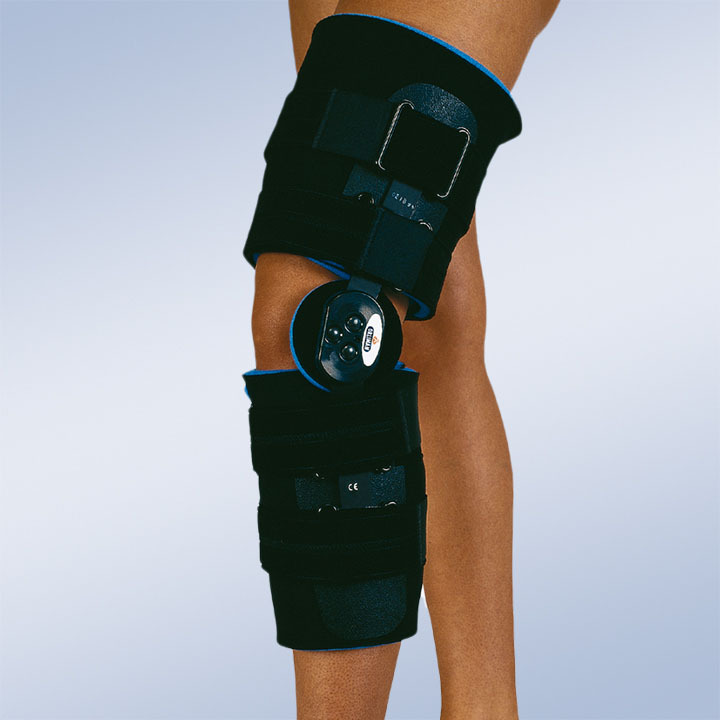 Knee orthosis that comprises two foam corsets, two Velcro straps and polycentric articulation adjustable at 0-15-30-60 and 90º to limit the flexionextension. Indications: For unstable or injured knees, Post-operative and post-traumatic rehabilitation, For relative immobilisation of the articulation in situations that require perfect control, To obtain a range of control of the mobility of the operated knee (crossed ligament surgery).